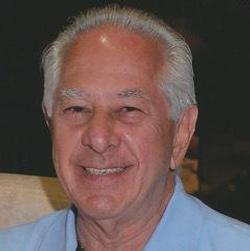 Vincent C. Fennimore, age 75, of Delray Beach, FL, passed away on September 21, 2016 after a lengthy illness. He was born to Frank and Mildred Fennimore on February 11, 1941 in Brooklyn, NY. He is remembered with love by his wife, Diane, and his children with his late wife, Rosemarie Fennimore, Lisa Kessler and her husband, Dan and their children, Siena and Leo; Cheryl Fulton and her husband, Jason, and their children Ava, Olivia and Kate; Lauren Terzella and her husband, Andrew, and their children, Juliana, Grace and Jude; and Jarrod Fennimore, his son, Jarrod Smith and wife, Heather, and their son Hudson.